The pianist can practice silently by listening through headphones. The system also transforms the classical piano in digital piano with all online midi interaction. Can also be used as a speaker exit without microphones. Single great advantage over the digital piano is on the action. The pianist enjoys full key dynamics, speed, repetition, legato and all these minute micro movements in the key stroke that are impossible on a digital piano action. At the end of the key stroke just before the hammer string strike, the hammer shank is halted and a digitally processed piano sound sample is heard instead. The silent system digital sound is remarkably rich, even on the loud pedal, rarely found on digital pianos, as long as the installation is accurate. 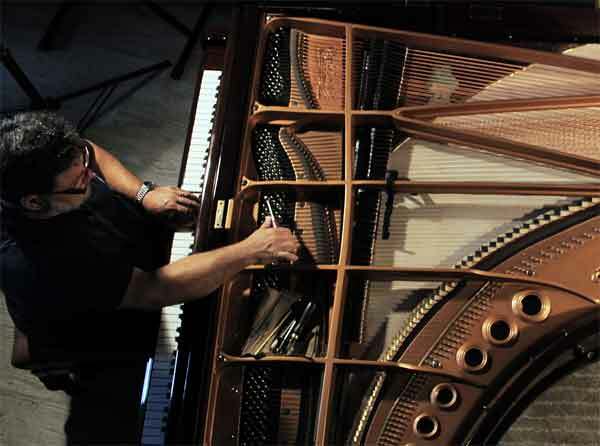 Pianists confess that even in friendly environments they can exercise more effectively with the silent system as they can practice repetitively the same passages without worrying of being annoying. Exercising on the silent mode is excellent for most than half of practice time working out the scores leaving the real piano time for interpretation. Our preference is on the PIANO DISC system which we believe is a leader on the field. We have seen very low pp and ppp levels, accurate accelerative key stroke and zero losses, the sound being exceptional. It is the silent system’s extension. The piano performs automatically through a very large musical library. It is a unique sense that must be experienced to be realized. It is not a CD and it is not live. It is a feeling of its own where the piano is live and the orchestra and vocals are reproduced through invisible speakers under the piano. If the piano and the artists are excellent, then the overall result is magnificent. We fit the system on all handmade pianos we build and we expand our music library with in house recordings with artists on all kinds of music. The systems’ potential is multifarious, favored among entertaining businesses, hotels, private owners and educational institutions. Please contact us for more as it is too large to go into detail here. 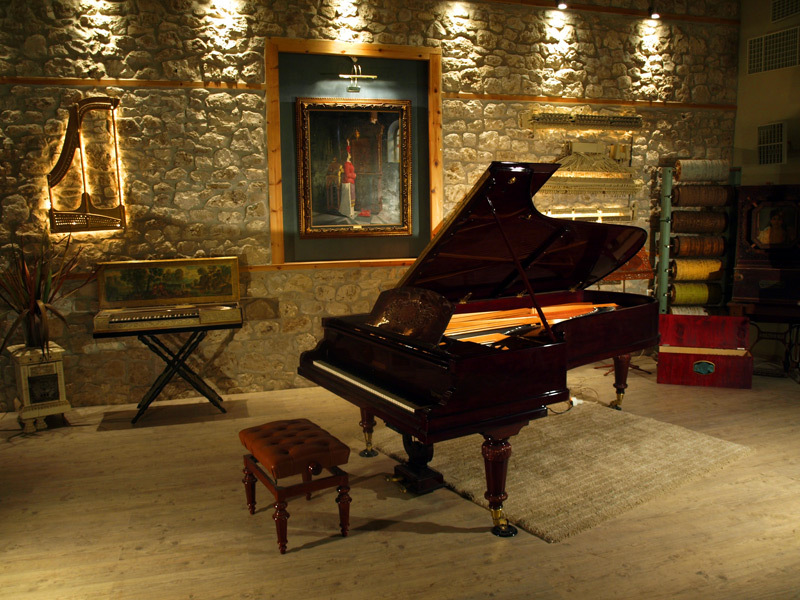 We again support the PIANO DISC system with which we have received special training and are certified for guarantee. 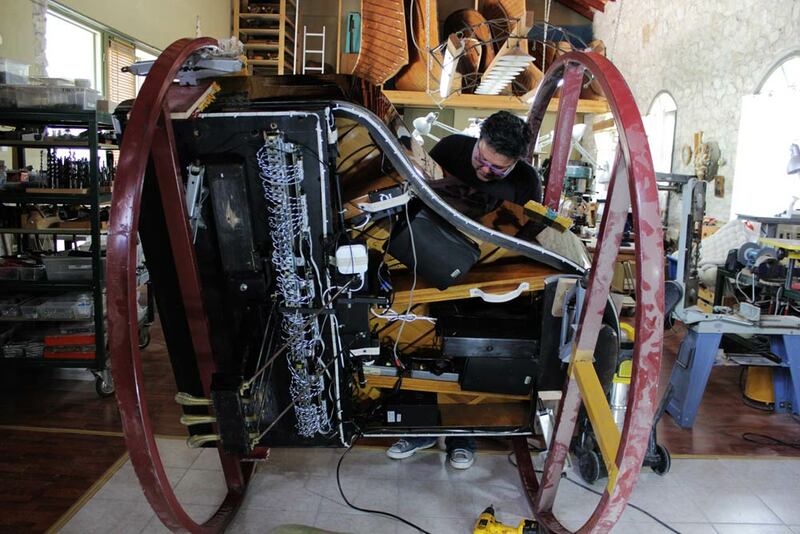 We can fit it on all kinds of pianos that have to be moved in our workshop.